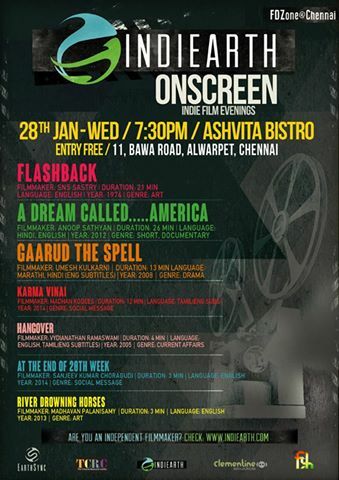 The Cinema Resource Centre in association with Goethe Institut cordially invite you film series FILMS ON WATER At Ashvita Bistro, Chennai. 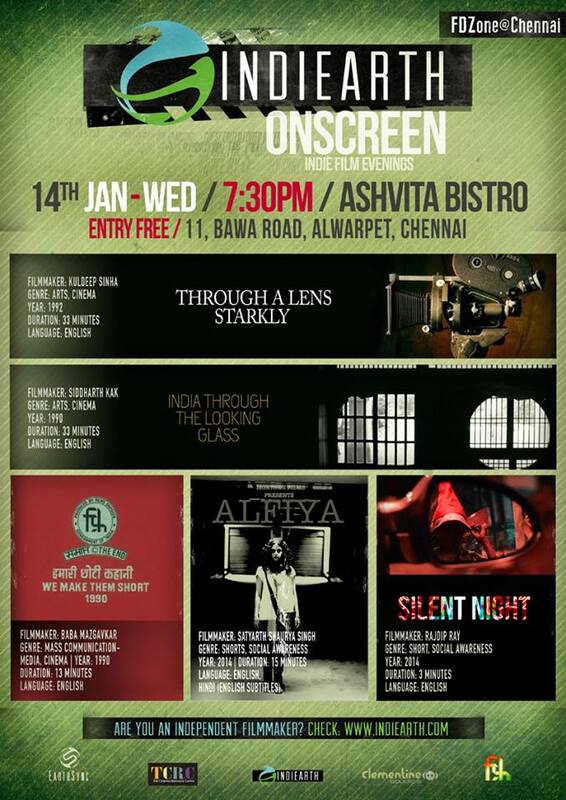 FILMS ON WATER enables Chennai citizens to enjoy short documentaries and feature films on water in different venues all over the city. The film series focusses to create awareness about water and its different meanings. How do we treat our rivers and waters? How do we perceive water and how does it culturally differ? Do we take our access to water for granted? What happens to us and our lives if water disappears? Our films will take the audience on a journey of varied experiences with water as a resource to create and destroy life, water as a danger, water as part of traditions and rituals, water as beauty of nature and much more. Invisible Needness | 2010 | 1 min. The film examines the plight of a group of widows forced into poverty at a temple in Varanasi. It focuses on a relationship between one of the widows, who wants to escape social restrictions imposed on widows, and a man who is from the highest caste and a follower of Mahatma Gandhi. Das Águas que Passam | 2015 | 23 min. For more than twenty years, Vandana Shiva has dedicated herself to defending the rights of India’s small farmers and maintaining biodiversity. “Monsanto – quit India” is the mantra she uses to challenge the agro-chemical multinationals.